Designations: Continuing Education or Continuing Humongous Absurd Rip Off ??? Do you wonder why every time you turn around the national, local or state board is mandating or hawking some 3, 4, 6, 8, 12 hour or more continuing education class? Some classes free, some costing hundreds or thousands of dollars? If we weren't required to belong to the national or local boards because our respective brokerages belong to them, would we have to endure all of this continuing education or need all of these designations? How much continuing education does a real estate agent have to have? Is some of it becoming ridiculous and needless? Does it vilify your intellectual prowess rather than taper it? Who benefits from all of this? Schools, the state, the NAR, the shysters who continue to hawk referral lists and free continental breakfasts, the booksellers and publishers, or real estate agents? It's suspicious when a local or state board has a three hour class approved by some huckster selling another coaching forum. These shysters roll into town with their two hour presentations with a continental breakfast at some cheap hotel conference room, take orders for their books and crap, and then fly off to the next town while at the same time co-oping with some publisher. Another dog and pony show. Some hucksters have actually been known to tease their clients with absurd promises, such as offering to participate in their deals or buy them if they can't sell them. Arrrghhh! Some seminar speakers have even suggested that it's possible for investors to lie on federal tax forms, but always follow the remark up with an angelic look on their face and a remark which goes something like, "I didn't say it was ok, I just said it could be done", while they explain in great detail how to do it. Some of these speakers have been imprisoned. They been charged with deceptive business practice and other crimes by the Department of Justice, the IRS and the Federal Trade Commission. Here comes the glossy 26 year old guy in a shark skin suit with padded shoulders, that has a jaw like Dudley DoWright and a tanning bed tan with capped bleached teeth, who tries to persuade you to sign over thousands of dollars for personalized coaching over the phone 24 hours a day to a number that is rarely or ever answered by anyone. Are you mad yet ! It doesn't have anything to do with designations, but he exposes fraudulent types of real estate education. John T. Reed is a Harvard Business School graduate. There's a psychological factor that tempts some agents to go for designations. I think it's partly because many can't pass a difficult written broker's exam, including tough real estate math and finance problems, and don't want to have to endure, once again, the pain of another written examination, risk failure and the forfeiture of the examination fee. For those who succeed in obtaining a broker's license, the barrage of continuing educational requirements subsides. Could it be that the designator doesn't want you to become a broker ? Their margin of profit shrinks. I run into agents every week, and students too, who tell me that they've failed the brokers exam because of the math or some other entry on the exam related to agency, state law, contracts, civil rights law, title theory, or some other aspect of the exam. In the same breath they're also quick to admit that they've gotten some new designation just for going to the class, no written exam and putting up the required money for the session. How many of these designations actually require the candidate to pass a written examination? Many only require the candidate to just sit through the spiel, the boring power point handouts and the continental breakfast. I've overheard agents remark that they just sign the roster, enjoy the continental breakfasts and leave, come back later and pick up their designations. It's true that, for a growing number of us daily, having those professional designation letters after their names means a bunch to them. Agents want some kind of a way to let the community know that they're different, that they're better at what they do than the rest of their peers and colleagues, and wear these designations on their lapels like heroes of the Soviet Union. But take a look at the list below. It's seems like new designations are crawling out of the woodwork. When I see a bunch of these designations after an agents name the first thing that comes into my mind is that they spend more time in the classroom than in the office. Are psuedo, useless designations beginning to rear their ugly heads, also? There's also a legitimate reason for many to pursue specializations within the industry, which some of these courses actually provide. 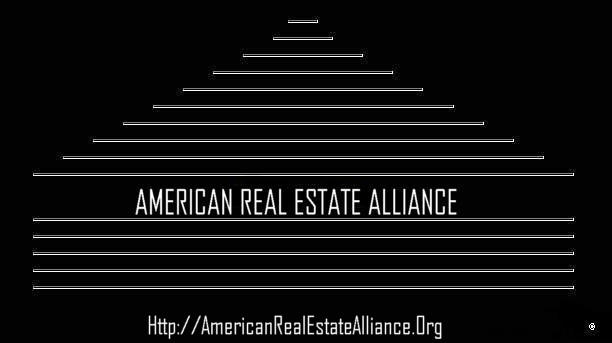 Some courses actually serve the real estate community in a healthy manner and I'm for anything that generates confidence and enthusiasm for the agents profession. Those courses reside with the first three years and begin with the principles and practice of real estate. Beyond that, everything is extracurricular, and outside the regular, required duties of your job profession. I've had enough of agents who wear these designations like Girl and Boy Scout Merit Badges. Some agents spend more time collecting designations than they do selling houses. Once you learn how to tie your shoes must you continue to return to mama to show you how to keep tying your shoes? Again, some designations are good, some are bad. Can you think of some bad ones? When does it end? How do you benefit from your designations? Are some designations just plain stupid, needless or cost prohibitive? Were any of your designations a waste of time, money and energy? It's not my intention to offend anyone, just open the door for discussion about the pros and cons of needless versus required real estate education. More opinions than you want to hear about. If you don't get anything out of continuing education, it's your own fault. Of course, some classes are better than others, and I would hope and expect that one's class picking skills would improve with experience. Designations are circumstantial support that document your efforts to gain further expertise in your field. Schooling is what happens when you go to class. Education is what you get, sometimes in a class, sometimes in other ways. Knowledge is the result of education, the goal of seeking out and internalizing the "stuff" of education. Wisdom is knowing what to do with knowledge after it's attained. No disagreement about the value of continuing education, Mike. But wearing a designation like a badge on your lapel like the 'hero of the soviet union' when all you did to get it was plop down a couple of hundred bucks, and spend three hours snacking on snickers bars and martinis over lunch isn't my idea of an education, especially when that designation may rarely have any real applicable value in the operation of your business. It's sort of like saying, "We'll, I listened to Donald Trump talk about building golf courses for four hours, spent 15,000 dollars and he gave me a lapel pin in addition to certifying me as a GCCA, a Golf Course Construction Authority. Now I'm somebody and can tell you all there is to know about golf course construction, and I don't even play golf. How about that ???" There is nothing wrong with continuing education. However, it just cost me about $1000 out of pocket to register for classes and tests. Agreed, Eric. If I were an associate, I'd first spend money on the education required by the respective commision in your region to obtain a broker's license rather than designations. There's an insidious psychology looming behind designations that allow some associates to believe that the designation is a substitute for real estate commission mandated education, which is really all any agent should pursue first, and then, after they've completed the mandatory continuing education requirements, pursue a broker's license. Then begin their quest for designations. A broker's license speaks much more loudly to me than any designation. David, from what you have related, I concede that you may not get anything out of the educational opportunities available to real estate professionals. To repeat what I said before in a little different way, schooling is not education, which is not knowledge. Yes, there are a lot of functional morons with PhD's and GRI's too. Don't you mean dysfunctional, Mike ? I tend not to go to the seminars that are offered by the hucksters. LOL. I do go to the seminars that update us on all the various laws that get passed each year and how they affect our business. "A teacher is a candle that consumes itself with a light to light the way for others". Part of the problem is the sheer number of designations. That's quite a list and it seems to growing as we speak. It seems as though what began as a good idea became a monster later on as the powers that be learned that this was a great cash cow. One difficulty I have with this is that I refuse to pay a yearly fee for something I earned already. It's puzzling, Ruthmarie, if designations come with an annual renewal fee. Is it a fee to belong to a private club, society, cabaret ? Demonstrating proficiency in a discipline specifically engineered to improve the quality of service has a steep price tag, and it comes from years of labor, not three hours in a classroom and a powerpoint presentation for 300 bucks. The way some real estate agents wear these designations it reminds me of the scene in the Wizard of Oz where the Wizard reaches into a bag and pulls out a diploma to give to the Scarecrow and tells him that he has brains. Of course the poor scarecrow begins calculating complex mathematical formulas that he couldn't understand. Designations that lack a sales production requirement make me a bit suspicious. In my opinion, it's not enough to sit through a series of courses. A candidate should have to demonstrate that they've actually applied the knowledge in a series of closed transactions. That's why I assign more credibility to the CRS, CIPS or ABR. Some of the designation programs on your list have waived their exam requirements from time to time, in order to build their numbers. That tends to cheapen the earning of a designation as well. The annual fees do feel like a shakedown in some instances, particularly when there isn't any perceptible ongoing benefit from maintaining the designation. Sort of like sending in two Captain Crunch boxtops and five bucks for a Captain Crunch laminated lapel pin and an official membership card in the Captain Crunch fan club, eh Eric ? I read this somewhere during the weekend. It is SO true. 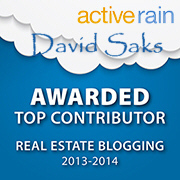 David..glad that you re-posted your blog item; did miss it the first time around-when 3.5 months into the Rain. Personally, I did take and receive the e-Pro designation. ..the information enabled me to get a handle on the whole spectrum of the Internet / workings. ...applications for us to discover our place on the Net. ...does it make me more comfortable in this realm--yes. ...for me, this was money well spent, with ease of process doing it on-line & doing it on my own time schedule. All that being typed; I am not interested in any 'follow-up' class, nor additional Internet type classes..at least at this time. You are correct in that the expense can out weigh the value at many times. I did get a pin that is within a box somewhere--I also don't wear my R. pin either. But, you must consider all my words here as coming from a source that uses a picture of our car & it's interior as OUR ID photo. We branded ourselves with the concept of a Ride through the Process. etc. David, I have a few designations, as I felt that I needed them for the field I wanted to stay within. Some were taken because of obtaining my brokers license. I take more pride in my brokers license than I do any designation as I did a tremendous amount of sacrificing to obtain it. I do believe our initial license is way to easy to get and the course requirements way to lenient. We could weed a lot of the dead weight out of this business if the commission would clamp down much harder. The times are changin'. Great to hear from you, Barb & Sal. Very well, said, Don, and agreed. Very nice to hear from you. I think having a brokers license is the best thing one can do. I also do not care for the designations that have a yearly renewal fee. I agree, Richard. The brokers license is not an easy objective to come by and takes some hard work. State and federal examinations are required. It's acquisition speaks volumes about any real estate professionals dedication. With most designations all your required to do is cough up the fees annually, show up for the 4 to eight hour session and sit through a lecture in a classroom or online with little or no study or examination required. A smart agent would spend the money on textbooks or classes that deal with the concepts of agency, real estate finance, title theory, fair housing practice, brokerage theory, sales contracts, local and state real estate laws, listing applications, disclosure issues, concept of deeds, leases, ethics and other subjects indigenous to our profession. Merit badges for fee are not my thing. Earning the the trust of your colleagues is not something you can do in a designation classroom. Additionally, keeping up with the changes regarding the laws that apply to our profession is about all you need to do once you have your license. The current handbook of my state real estate commission is the most important book I have on my desk, beside the Bible.